The Tour de Yorkshire Ride has collaborated with Mackenzie Thorpe, official tour artist, to design for a new medal for the event. All participants of the amateur ride, expected to exceed last year’s 4,500 people, will be awarded the specially designed medal as they cross the finish line in Leeds, just hours before the pros roll through on 5 May. Mackenzie marks 30 years as a professional artist in 2019 and to crown this occasion, has been made Official Artist for the Tour de Yorkshire this year, creating a collection of artworks for the event which were recently unveiled. Bicycles have long held a powerful and symbolic position in Mackenzie’s artwork and his unique talent at communicating emotions through his art, means these images resonate with both cyclists and non-cyclists alike. 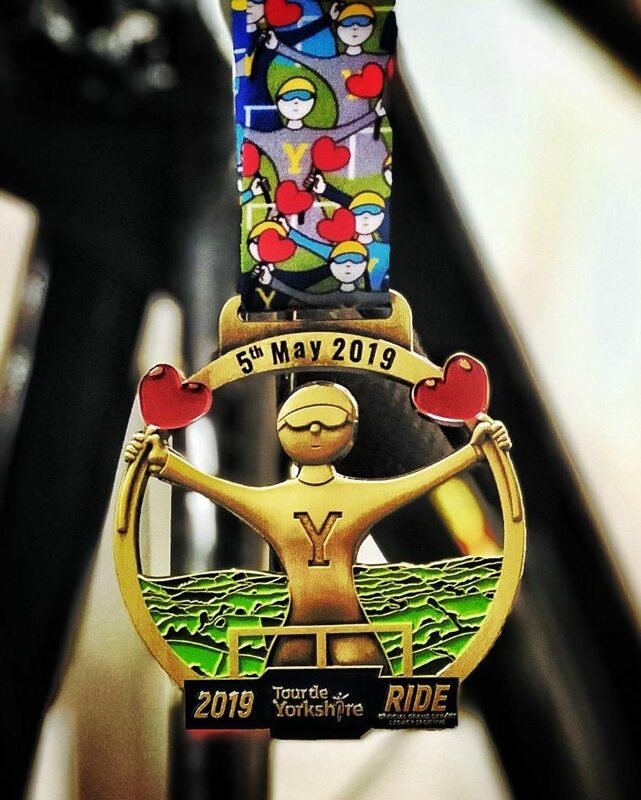 Now Mackenzie has lent his talent to the Official Ride medal, strengthening the link between the Tour and the Ride, and a work of art in its own right. The medal features a rider in a ‘Y’ jersey holding aloft two hearts in Mackenzie’s iconic style. This is set against a backdrop of the rolling hills of Yorkshire, detailed out in shades of green as the cyclist conquers the brutal beauty the county is known and loved for.